A Red Panda group climbs the ridgeline of Kyanjin Ri near Kyanjin Gompa. On the way up Kyanjin Ri. Enjoying the feeling of a trek well done on the final bridge before the ride back to KTM. Unpacking for the day at Lama Hotel. A Red Panda trekker with a local woman in Sherpa Gaun. 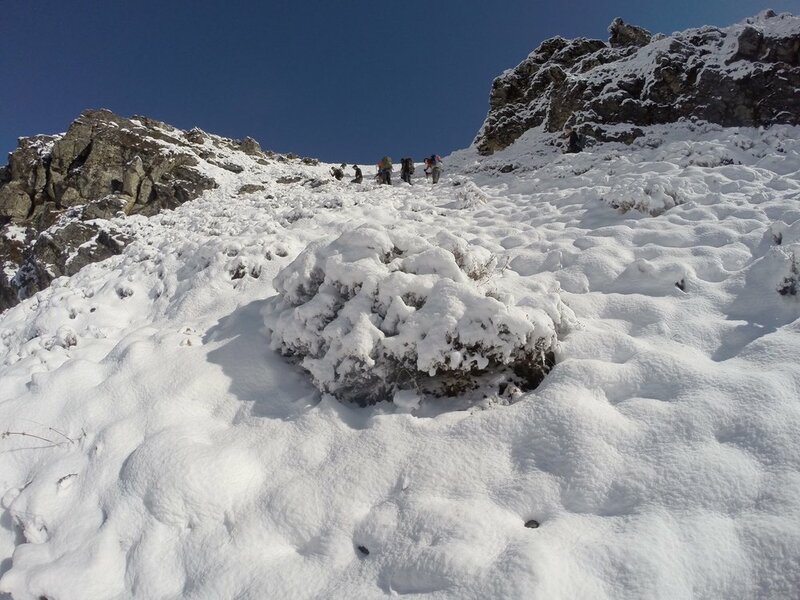 Trekking in Langtang near the village of Langtang Gumba.